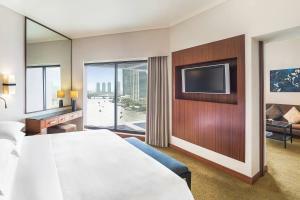 Royal Orchid Sheraton Hotel and Towers is located on the bank of Chao Phraya River, boasting 4 dining options, 2 outdoor pools, and a spa. Free shuttle boats bring guests to Saphan Taksin BTS Skytrain Station and Icon Siam Shopping Mall. 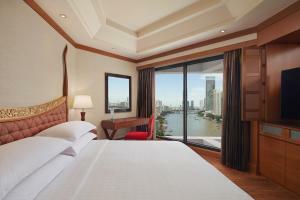 Featuring views of Chao Phraya River, rooms have a flat-screen TV. 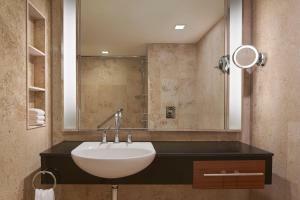 A safety deposit box and tea/coffee making facilities are also provided. 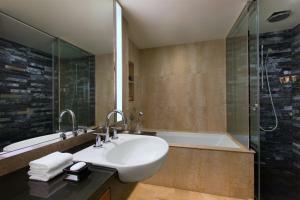 The private bathroom is fitted with a bathtub and shower. Guests can exercise in the 24-hour fitness centre and enjoy other facilities including a sauna, a hot tub and tennis court. 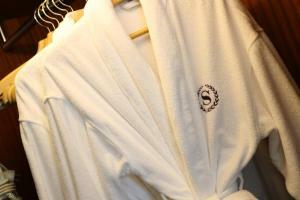 Concierge and laundry services are available. The riverside World Cuisine restaurant offers all-day dining, with buffet and à la carte options. Giorgio's restaurant serves Italian dishes. Riverside Grill offers terrace seating with uninterrupted river views. Guests can enjoy Thai dishes along with traditional Thai dance at Thara Thong. 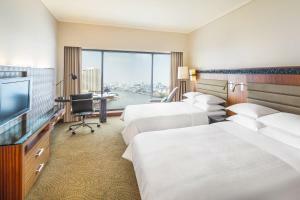 Royal Orchid Sheraton Hotel and Towers is adjacent to River City, Bangkok's biggest shopping mall for antiques. 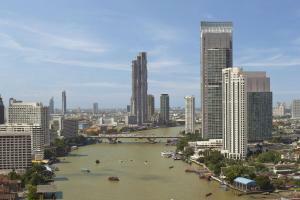 ICONSIAM shopping mall is located across the river. Suvarnabhumi Airport is around 40 km away. Any type of extra bed or child's cot/crib is on request and needs to be confirmed by management. Supplements are not calculated automatically in the total costs and will have to be paid for separately during your stay. Please present the same credit card used to guarantee your booking when checking in. 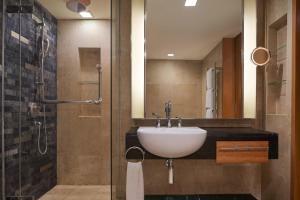 The credit card used at time of booking must be valid for the entire stay. Credit/Debit Card Policy: Debit / credit cards will be authorized at check-in for the amount of your stay, plus an amount to cover incidentals. The authorization will hold the funds until check-out, at which time the amount actually incurred during the stay will be charged. Authorized amounts may take up to 30 days after departure to be released by your bank. 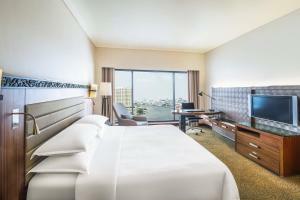 The hotel will not be responsible for any resulting fees or charges. Guests are required to show a photo identification and credit card upon check-in. Please note that all Special Requests are subject to availability and additional charges may apply. 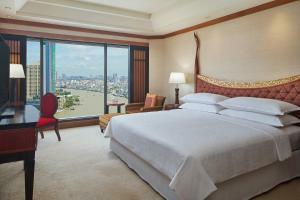 Deluxe River View room features panoramic views of the Chao Phraya River through floor-to-ceiling windows. 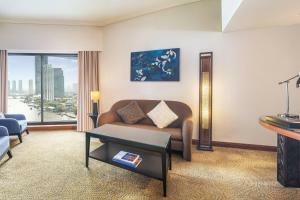 Rate: THB 3247.16 ... THB 11362.30; select dates below to get current rates. 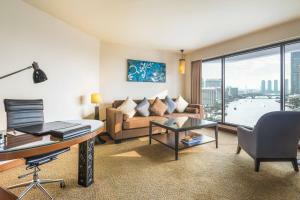 Rate: THB 3392.55 ... THB 11416.20; select dates below to get current rates. 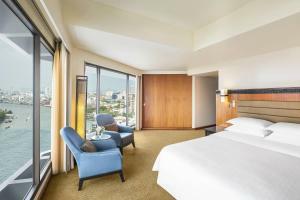 Located on the higher floor, this room features outstanding views of the Chao Phraya River through floor-to-ceiling windows. 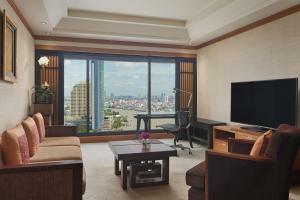 Rate: THB 4444.93 ... THB 11181.60; select dates below to get current rates.